If you missed the last social mixer, "Digital Marketing Predictions 2014", you can listen to the podcast below hosted on our channel on SoundCloud (soundcloud.com/webweds). A shout out to Radio Chinwag for mastering the editing in a noisy bar environment with over 200 guests! What a great start to 2014! Our 81st social mixer to celebrate the launch of the Digital + Direct Marketing Association (www.ddma.asia) attracted over 200 guests! We had digital marketers from local and international brands, agencies, internet startups, MBA grads, bloggers and journalists, investors...That's what I call quality networking! A big thank you to our panel of guest speakers: David Ketchum (@ketchum), Argha Sen (@goodfood65), Kate Scott (@kesabeth) and Stephanie Silvester (not on Twitter). “The offline and online worlds will need to come closer than ever before in 2014. The phrase 'omni-channel' is overused but there’s no doubt that the roles of brick and mortar stores, e-commerce and on- and offline promotion will change and increasingly blend together.” Argha Sen, Director, Omni-channel, Fung Retailing Group. “Particularly in B2B we’re seeing continuing value in integrating online (particularly e-mail) and offline marketing, especially in the C Suite. The volume of printed items received by CEOs/CFOs/CMOs is way down, so a well done piece can stand out. In 2014, our number one priority is creating great content.” Stephanie Silvester, Group Marketing Manager, Asia-Pacific at Verizon Business. "We need to focus on building out a customer service team that can handle questions and complaints across all channels, be it Weibo, WeChat, Twitter, Facebook, hotline, email etc". Kate Scott, Senior Manager, Digital Marketing at Hong Kong CSL Limited. 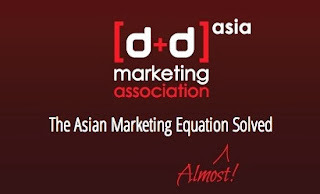 “2014 is when content and commerce will have to come together and show the business value of social media beyond the ‘fluffy stuff’.” Chairman of the Direct + Digital Marketing Association Asia. Thank you also to the great team at Bisous, who are now looking for new jobs as the venue has been forced to close down at the end of this month. You're a truly professional team and have done us well. Thanks also to our partners, Radio Chinwag, masters of sound and radio edutainment. Spot yourself in the photos of our 81st social mixer Photos by Bronney. Digital Marketing Predictions 2014 - Web Wednesday HK (V81), a set on Flickr. Mark your diaries for our 81st Social Mixer on 22nd January, 2014. Sign up and see who else is coming via Facebook or MeetUp. - What strategies are senior marketers backing? - How are they really investing their marketing funds? - How are they changing to meet the needs of their rapidly evolving customers? - What is the perfect marketing mix across all the customer touch points? - What are their expectations from agencies, marketing partners and technology solutions providers? Featuring a panel of senior marketers representing the range across corporate, B2B and consumer, this is your opportunity to learn from the horse’s mouth what strategies marketers are really going to commit to, and where they plan to place their ROI bets with their budgets. Our Twitter (@webwednesday) handle now has 4,851 followers. Our emails now go out to 3,000 opt-in recipients. This blog, webwednesday.hk, attracts 10,000+ page views per month and since May 2007 has generated 210,662 page views in total. You can listen to many (not all, unfortunately) of the past interviews via our channel on SoundCloud. If you missed some of the great interviews this year, I've set up a special collection, called "Web Wednesday Speakers 2013".